NBA 2K18 is one of the most difficult games I have reviewed in quite some time. I don’t mean that from the standpoint of the game being hard to play, but instead I mean it has been difficult for me to gather my feelings on the product as a whole. On one hand, NBA 2K18 continues to improve on the overall gameplay elements that have made past entries in the franchise so popular. Where I begin to struggle with my thoughts on the game however is when it comes to some of the overhauls in many of the different modes within the game. 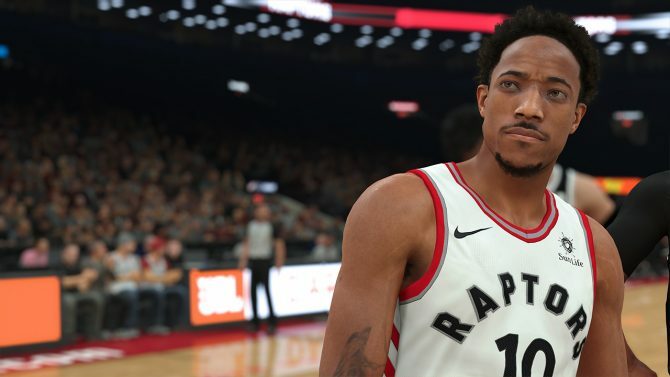 While I think these changes are good for the series in the long run, NBA 2K18 as it currently stands feels more like a transition year for the franchise as 2K Sports and Visual Concepts continue to iron out many of the kinks seen in this year’s edition. To begin, let’s first talk about the biggest change in the game: MyPlayer mode. For those who might not be aware, this is the mode that allows you to create your own character from scratch and work your way up the ladder towards becoming one of the best in the Association. In past years, MyPlayer has been arguably my favorite mode that I spent the most amount of time in. While I still spent the lion’s share of my time with this mode in NBA 2K18, I have many more grievances than in previously. As you might have seen, the layout of MyPlayer has been altered to where you now have a social space to run around in — similar to Destiny’s Tower. This new location, called “The Neighborhood,” is where the entirety of the MyPlayer experience takes place. The Neighborhood is filled with a ton of different things to do, ranging from stores to buy new gear, a barber shop to alter your player’s appearance, a tattoo parlor to ink yourself up, and even a gym to help level up your character. All of this along with a variety of other experiences such as The Playground and Pro-Am have been rolled into The Neighborhood and are all accessible through it. Combining all of these aspects of NBA 2K18 into one area makes a ton of sense and help create a fresh new experience in the process. The Neighborhood is a fantastic idea that has been implemented relatively well out of the gate in NBA 2K18, but I do have quite a few issues with it as it stands in its current form. To start, I think all of the locations within The Neighborhood are far too spread out and your character moves way too slow to be able to get around quickly. After making a few jaunts around the block, I was tired of it taking minutes for me to simply hit up the Foot Locker down the street. I also continued to find that NBA 2K18 wouldn’t run very well as I spent my time in The Neighborhood. My game froze on me two different times while I navigated The Neighborhood and it seemed as if it were about to freeze again on at least another two to three instances. Despite these issues, I really do love the concept of The Neighborhood and I think with a couple patches it could be one of the coolest things ever seen in the NBA 2K series. Perhaps the biggest change in MyPlayer this year, however, is the way in which you level up your character. While you do once again use Virtual Currency, or VC, to increase your athlete’s proficiency in different areas of the game, this leveling up process has become much more drawn out that in the past. While a certain amount of VC used to level my character up by 5-6 levels in prior iterations, it now seems that it will instead only increase by 2-3 levels. My math could be terribly off on these estimations, but the process of becoming a better basketball player feels like much more of a grind this year than in the past. Additionally, a new leveling up system has also been implemented to help increase your cap in each different skills category. For instance, let’s say you have poured all of your VC into the three-point shooting skill and have reached the point where you cannot increase that skill any further despite there being higher levels to obtain. You’ll have to instead level up your overall character through this new aforementioned system before being able to then put more VC into the three-point shooting category. It’s an odd change and, once again, just makes things more of a grind than it used to be. I don’t hate grinding in video games by any means — see Destiny 2 — but where NBA 2K18 starts to feel a bit gross is when you realize that these changes to the leveling system were potentially only made to encourage players to purchase VC with their own money, more so than in the past. 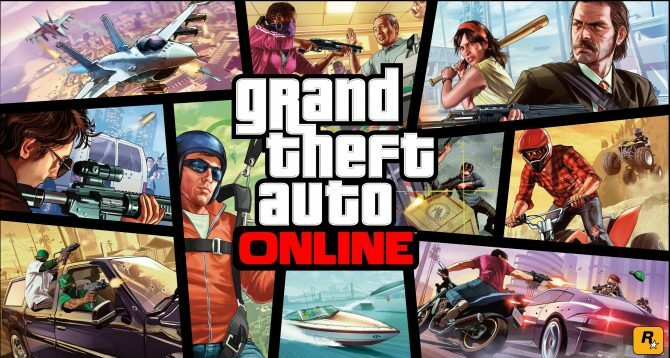 While microtransactions aren’t inherently bothersome to me in most games, they need to be implemented carefully as to not ruin the core experience of a game. Judging from the time I have put into NBA 2K18 so far, for someone to reach and overall character level of 99 — which is something NBA 2K18 encourages you to do constantly — without ever spending a dime of their own money would surely take hundreds of hours. 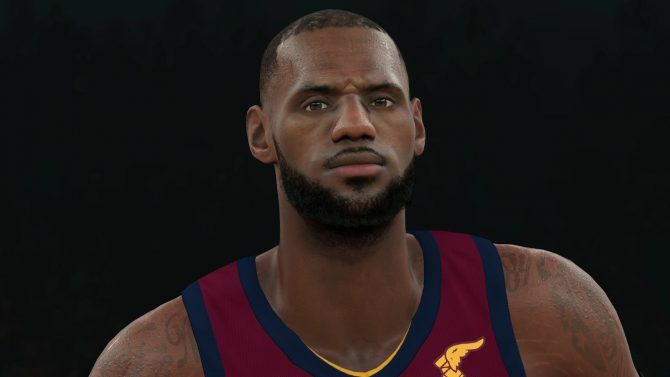 Not only that, but VC has also been more implemented into the cosmetic features of NBA 2K18 than in the past. For instance, you can’t even put facial hair on your character when first creating them at the start of MyPlayer. Instead, you’ll have to go to the barber later on and use some of this precious VC to simply add a goatee to your character. Things like this, in addition to many other elements of The Neighborhood being locked until you reach a certain overall player level, to me shows that 2K Sports has tried as hard as possible to encourage players to spend their own money to purchase VC — which is pretty gross. Heck, I even purchased $10 worth of VC about two hours into the experience just to unlock a few more things myself. Stepping away from the VC controversy that has surrounding NBA 2K18 out of the gate this year, let me touch on the MyPlayer story because it’s quite a mixup from the past. Instead of going down the typical route of being a college player who is aiming to be a lottery pick, NBA 2K18 enters you in the shoes of a street baller named DJ. After making waves at a local street ball tournament, an NBA team — of your choice — signs you and you begin your journey in the Association. While this is a nice change of pace from the past, I honestly was starting to love the college portions of the MyPlayer experience from both NBA 2K16 and 2K17 especially since 2K was finally getting the rights to use certain NCAA schools. Seeing them move away from this layout wasn’t a huge deal, but it was personally disappointing. While I usually don’t expect much from the story in sports games, I have to say that what I’ve played of the story in NBA 2K18 is more egregious than normal. Once again, the writing is awful, the voice acting is bad, and the character animations are rough. Not only that, but cutscenes pop up far more frequently than in the past. I can’t even hop into a game without seeing the exact same thirty second scene of my character walking into the locker room to sit down before heading out to the court. Since no one plays these games for the story, I would like to see 2K Sports just acknowledge as much and not force us to sit through these grueling cutscenes; instead, just get us into the action as quick as possible. I feel like I’ve been overly negative on NBA 2K18 so far — it’s not a bad game by any means. As mentioned previously, the gameplay this year continues to improve as it normally seems to do. 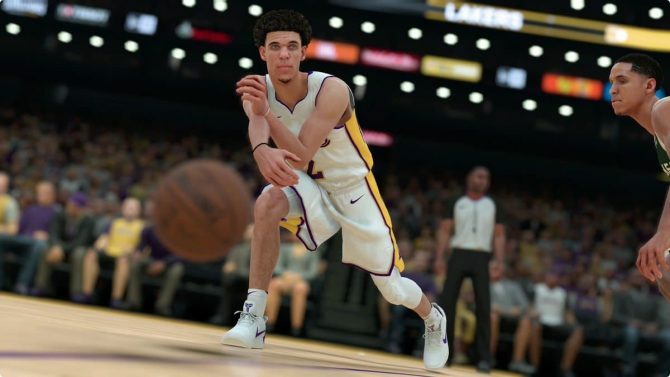 For instance, characters have much more weight to them in NBA 2K18 which leads to them feeling surprisingly different, as compared to previous iterations. Comparing the feel of a player like Steph Curry to that of Joel Embiid is much more drastic than it used to be. This distinct feeling of each character really encouraged me (more than ever before) to switch characters constantly and try each new character out, rather than constantly sprinting down the court with John Wall endlessly. Dribbling has also been improved this season and feels so much better than I had ever remembered. The ball physics have also been improved even more and react to the environment now rather than constantly being tied to an invisible string attached to the dribbling player’s hand. On top of that, steals are also more effective this season — especially with players who specialize in swiping the ball. That said, I feel like it has become harder to play defense in NBA 2K18, which is a change I’m mostly okay with considering I found it to be a tad too easy to play excellent D in 2K17. The only thing I have found myself frustrated with in terms of gameplay is the new shot meter. Rather than being on the bottom of your player’s HUD, this new shot meter, which is very tiny, appears to the left of your character’s torso when shooting. I hated this change and would love to have an option to move the shot meter back to within the circle underneath my player. Unfortunately, this cannot be changed in the options. Along with this, I also haven’t been a fan of the removal of the range meter that used to show whether or not a potential shot was in range with your current player. This doesn’t affect NBA 2K18 that much overall, but it was a feature that I appreciated in past editions of the game. I hope it returns at some point through a patch. Despite these minor gameplay complaints, I would still say that NBA 2K18 is the best game in the series when it comes to creating a realistic basketball simulation. Visual Concepts has been fantastic at refining the gameplay year after year to create a product that most closely resembles that of real NBA basketball. If you’re like most people who are considering purchasing NBA 2K18 purely because of the gameplay, then you won’t be disappointed at all. As you may have seen in preview images before release, the characters in NBA 2K18 look better than ever before. While I have been consistently impressed with the visuals of the NBA 2K games for quite some time, the leap in quality this year is much more noticeable. While the animations can still be a bit funky every now and then — especially around the story, NBA 2K18 really made me want to go buy a new TV so that I could appreciate its graphics. The overall presentation in NBA 2K18 is also on a whole other level this year. Similar to the graphics, I don’t feel like the presentation in the NBA 2K games have ever been bad — but the jump in presentation was far more noticeable this year. Some of these upgrades include different color commentators — Chris Webber, Doris Burke, Brent Barry — for each game so that you don’t get tired of hearing the same voices every time you hit the court. Additionally, sideline reporters like David Aldridge have a larger role than in the past which continues to add to the facade of watching an actual NBA game on TV. As for the other game modes like MyTeam, MyGM, and MyLeague, they remain mostly the same with some slight adjustments here and there. MyGM has received some very nice streamlined additions in the coaching area of your team which help make management a bit easier. However, a story element was added to the MyGM mode for reasons that I still don’t understand. Even worse, the story is entirely text based and contains no voice acting. On second thought… given the terrible voice acting in other portions, that might actually be a good thing. The only other noticeable downside for me in any of these game modes has been with the online play with MyTeam. It might just be my own Internet connection, but there was a constant half second or so of lag in each of my games that I played online. It’s hard to judge situations like this when they may only be my own Internet’s fault, but I felt like it was worth mentioning at least. 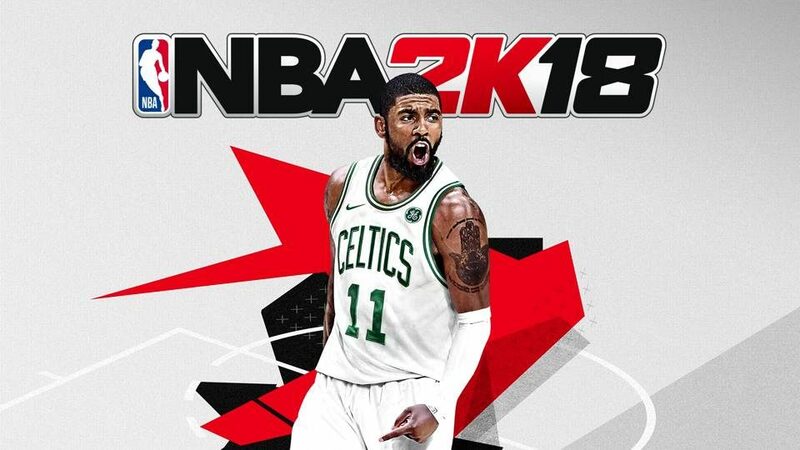 NBA 2K18 is the biggest departure that the series has had in recent years, which is both good and bad. 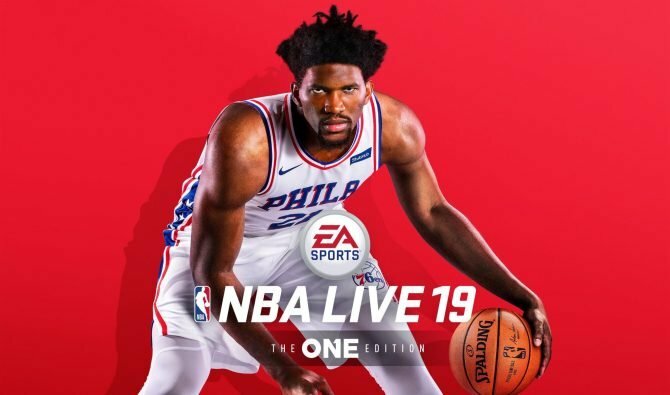 Elements such as MyPlayer feel like they have the potential to be fantastic, but are still too mired by microtransactions and bugs in its current form to truly be the experience that I was hoping for. 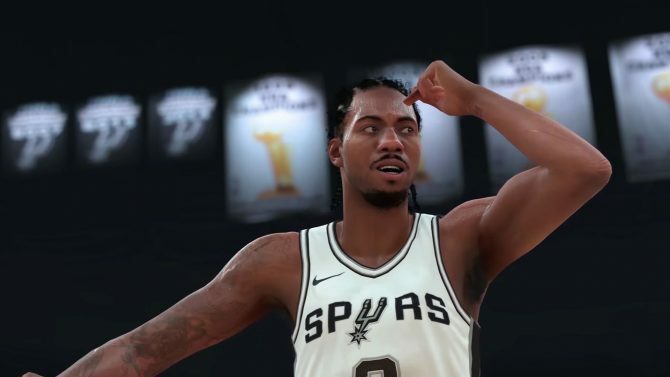 Gameplay continues to be the reason to pick up any NBA 2K game however, and NBA 2K18 doesn’t miss the mark when it comes to putting forth the most realistic basketball sim on the market. With a few patches over the course of the next year, I’m hoping NBA 2K18 can continue to improve and fix many of the issues that I have with it out of the gate this season.